Adjusted For Life Chiropractic Health Centre proudly offers massage therapy, which involves the manipulation of the muscles, tendons, ligaments, and other connective tissue of the body. Our licensed massage therapist is not only trained in manual therapy, but she is also trained in remedial exercise and hydrotherapy. Whatever your need – we have you covered! Massage therapy has been known to help conditions such as low back pain, tension headaches, repetitive stress injury, tendonitis, muscular trigger points, ligament sprains, muscle strains, and general muscle tension. Because there are numerous forms of massage used for different purposes, this therapy is an excellent care option for varying concerns as well as the promotion and maintenance of overall health and well-being. Massage therapy does more than tend to the physical body, but it also addresses both stress and anxiety. Adjusted For Life Chiropractic Health Centre believes in the benefit of utilizing several healthcare modalities to achieve optimal health. While massage therapy is sometimes used alone, we see increased results when used as a compliment to chiropractic care. The reduction of muscle tension can increase the ease of your adjustment and the rate of your recovery. Many chronic conditions have a fibrotic infiltration of the soft tissues as part of the natural healing process of the body, and for this reason, the release of these soft tissue adhesions promotes better circulation and longer lasting results from your chiropractic adjustment. The length and frequency of each session varies according to the individual. You are in good hands with our expert massage therapist, Denise Armstrong. Denise is trained in many aspects of massage therapy and has vast experience both teaching and using these therapies throughout her career. 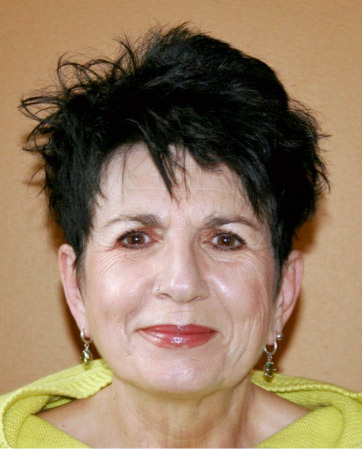 Beginning in pre-medical studies in 1973, she soon recognized her passion for alternative medicine and transitioned into studying Traditional Chinese Medicine and Massage Therapy. In Denise’s 25 years of teaching, she developed the two-year Massage Therapy Program for The Medicine Hat College and moved back to Calgary where she has been practicing ever since. During her career, Denise has provided care for many high-level and recreational athletes. She has also used her knowledge of massage therapy to assist labor and delivery clients as well as patients with brain and spinal cord injuries out of Foothills Medical Centre. Denise has worked towards elevating the massage profession through increased education and accreditation, including government recognition. Learn how you can benefit from massage therapy in Calgary by contacting us today!